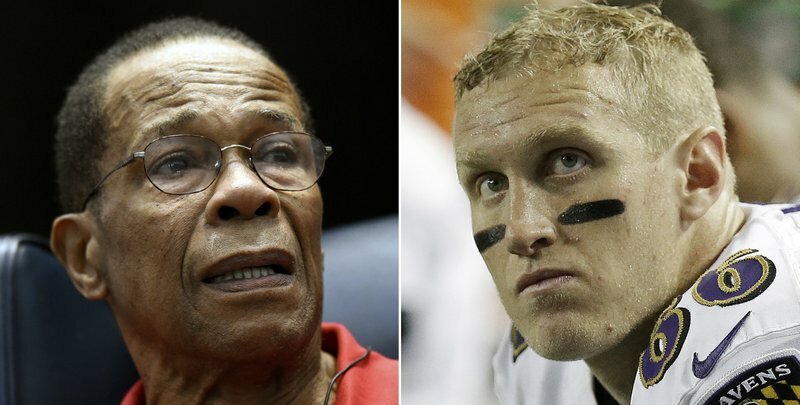 SAN JUAN CAPISTRANO, Calif. (AP) — Baseball Hall of Famer Rod Carew received a new heart and kidney from the late NFL player Konrad Reuland in what is believed to be the first such transplant involving pro athletes. Carew underwent the procedure last December and met Reuland’s family in March after mutual friends connected Reuland’s death with news of Carew’s transplant on Dec. 16. Reuland had died four days earlier after a ruptured brain aneurysm at age 29. Reuland attended middle school in Southern California with Carew’s children, and he met Carew when he was 11. Reuland played for the New York Jets and Baltimore Ravens. He also spent time with the San Francisco 49ers and Indianapolis Colts, who released him last August. The Reulands were told the recipient was a 71-year-old man from Orange County. The two men’s blood type was the same, but the key factor was both were immune from Hepatitis B. No one ahead of Carew on the transplant list was immune. Reuland’s parents, Ralf and Mary, and their youngest son Austin took turns listening through a stethoscope to Konrad’s heart beating inside Carew’s chest when they met the former baseball star and his wife Rhonda, according to the American Heart Association News. “We are so thankful, so grateful, so there aren’t adequate words,” Rhonda Crew told the Reulands. Last fall, Reuland was on a treadmill when he experienced a severe headache. The aneurysm, a ballooning in an artery in his brain, burst a few days later. He underwent surgery, but never woke from a coma and his brain activity stopped a few weeks later. Last April, Konrad Reuland was renewing his driver’s license in his parents’ home. He asked his mother whether he should become an organ donor. She’d signed up to do it, so he did, too. Carew’s health issues began in September 2015 when he had a near-fatal heart attack while playing golf. He spent a year with a left ventricular assist device in his chest handling the work of his damaged heart. Last fall, blood thinners he took as part of his protocol led to bleeding in his brain, making it more urgent for him to get a new heart. Carew went on the transplant waiting list the Friday before Thanksgiving and moved higher a few weeks later. He got the call that a match was found on Dec. 14. He received the heart and kidney two days later. Heart disease has touched the Reulands, too. Mary lost her father and a 31-year-old brother to heart attacks; Ralf’s father has received a stent and battles atrial fibrillation. Both families want to encourage more people to become organ donors. Carew’s family has long been signed up as organ donors in memory of his daughter, Michelle, who died of leukemia when she was unable to get a match for a bone marrow transplant. The families plan to work together, especially on “Heart of 29,” the campaign Carew started last year with the American Heart Association. The program’s name came from Carew’s jersey number. Because Konrad Reuland died at 29, the name carries added meaning.